Have you ever finished writing an essay and wondered if what you have written is actually any good? Many people sit down at the beginning of an essay, intending to convey one message, and are surprised to find that the message is lost or obscured by the rest of the essay. That is because it can be difficult to stay focused on writing your essay and sharing your message, when you are concerned about making sure that your essay follows all of the rules and conventions of written English. This is not an isolated problem, and you are not the only person who feels that way. Written English and spoken English differ in some fairly substantial ways, which is why it is so much easier for some of us to provide spoken explanations than it is for us to sit down and write a great essay. Feeling confident about the content of your essay, but worried about your grammar, word choice, syntax, and usage? Even if you have run the spelling and grammar checker that comes with your word processing program, it is still possible for your essay to have pretty obvious errors that you might miss, but that will result in you getting a lower grade. Our Check My Essay guide can help you avoid those pitfalls. More comprehensive than a generic spell check program, our essay checker looks at actual usage and helps you write a better essay. It does so by providing you with recommendations, along with the explanations of why it is recommending the changes. These recommendations can help you choose the best way to present your essay to your audience. It is the next best thing to having your essay professionally proofread. Spellcheck is a marvelous invention and it is absolutely inexcusable to turn in a paper that you have not run through your word processing program’s spellcheck feature. That said, spellcheck is notorious for missing some fairly common errors, so relying on spell check, alone, is simply not enough to make sure you have a paper that is free from spelling errors. It may recommend that you change a word that you spelled properly, not catch when you have used a sound-alike word instead of the word you intended, and can become fairly worthless if you are using phrases or words that are not commonly used or are of foreign origin. Our essay checking program goes a step beyond the normal spell check program, taking all of these factors into account, and giving your paper an extra level of scrutiny. If there is uncertainty about a word, we flag the word for you, so that you can make a determination of whether or not you have chosen the correct spelling for that word. While we start studying punctuation in kindergarten, and many of us think of punctuation as basic, the reality is that punctuation can be really challenging, especially in higher-level academic writing assignments. Most people have mastered basic punctuation, but might find certain elements to be elusive. For example, apostrophes give people some pretty serious problems. People often use ‘s to signify plural, specifically when referring to surnames. 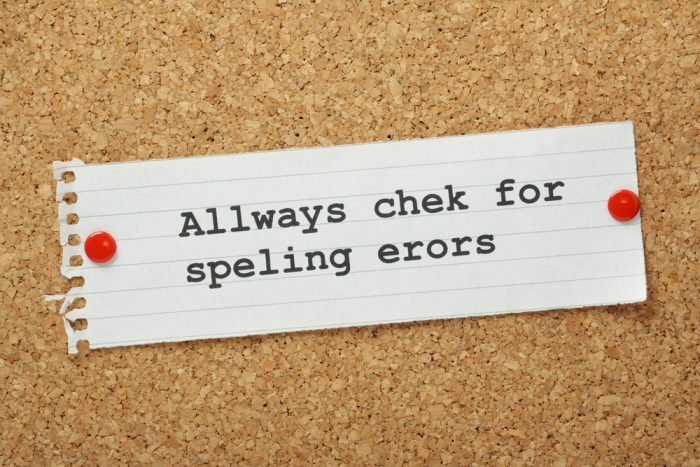 Though this is incorrect, it is not something detected by normal spelling and grammar check software, because the resulting word could be grammatically correct. People also struggle with commas. Leave out a necessary comma and you could have a run on sentence that makes your paper difficult to read. Add in extraneous commas and your paper looks disorganized. Commas, or the lack thereof, can even profoundly change the meaning of a sentence. Other common punctuation issues include: when to use a semicolon and when to use a colon; the appropriate usage of quotation marks; how to use parenthesis; and how to appropriately incorporate ellipses into your paper. Our essay checker is not only aware of these common punctuation issues, but can give you recommendations on how to correct them. 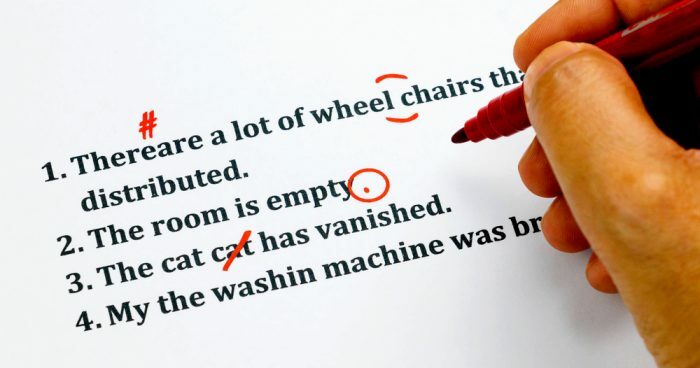 In fact, sometimes punctuation is not incorrect, but tweaking the punctuation may improve readability, and our essay checker can make those recommendations for you, as well. One example of this is the Oxford comma. While it is no longer considered necessary, there are times when the use of the Oxford comma can dramatically improve the readability of a sentence. Therefore, our essay checker not only looks at the acceptable punctuation, but goes further to look at the optimal punctuation and may recommend changes that will improve the readability of a sentence or a passage. Stuck Writing Your College Essay? Do you know what grammar is? You probably have not thought about it often, and may assume that you do, but the reality is that most people do not really understand what we mean when we say the word grammar. That is because grammar is a pretty large concept. Grammar refers to the whole system and structure of a language. Therefore, if you are looking at grammar, you are really looking to see if a passage follows the norms of the English language. In some languages, this is a relatively simple process. However, English is one of the least consistent of all modern languages. While it has plenty of rules, there are enough exceptions to those rules to make writing a grammatically correct essay somewhat challenging. The challenge is even bigger if you are a non-Native English speaker. Therefore, it should come as no surprise that a significant percentage of academic writing contains grammatical errors. While some of these errors are relatively harmless, and may not even impede the reader’s understanding of your essay, they can result in much lower grades. Our essay checker knows the rules of the English language. More importantly, it knows the exceptions to those rules. It will flag passages that seem to have grammar errors, giving you the opportunity to change them. It does not auto-change these errors, because there are some things that are grammatically incorrect, but still might be incorporated into academic writing. For example, a quotation may contain grammatical errors, but may need to be included, as-is, in a paper. In addition, there are times when grammatically incorrect language or syntax is used, intentionally, to create an impact or effect in writing. Using the proper syntax is a really critical part of writing a successful essay, but is also something that can be difficult to master. Syntax has a very formal definition, but we think it easiest to think of it as word order. Does the order you have chosen for the words in your sentence, and the sentences in your passage, make sense? Does their arrangement help the reader understand the point you are trying to make, or are they put together in a way that leaves your writing ambiguous and hard to understand? If so, then our essay checker is going to suggest you make some changes. Syntax is far more important in written language than it is in spoken language, because of the inability to emphasize words in written language. Whether it is a misplaced adjective or adverb that appears to be modifying the wrong word, or words jumbled together in a way that deprives them of meaning, the simple act of writing words down can deprive them of a meaning that would be clear in spoken language. Therefore, the syntax checking functions looks at how the words are arranged and makes suggestions to help improve syntax and flow when they are needed. Once the essay checker has reviewed your essay, it is not going to autocorrect your writing. Instead, it is going to provide you with a list of recommended changes. Even better, it is going to provide you with the reasons it is making those recommendations. The result is something very much like a professionally proofread pages. The reader, which is the essay checker in this case, provides you with a list of things it found questionable in your essay, as well as suggestions on how to improve that material. You then look over the list and decide which recommendations you will incorporate into the paper, so you can end up with the perfect end product. Writing essays can be challenging. Not only do you have to decide what you want to say in an essay, but you also have to worry about how you are saying it. Mess up the spelling, punctuation, grammar, or syntax and you can end up with an essay that obscures the message you were trying to share. 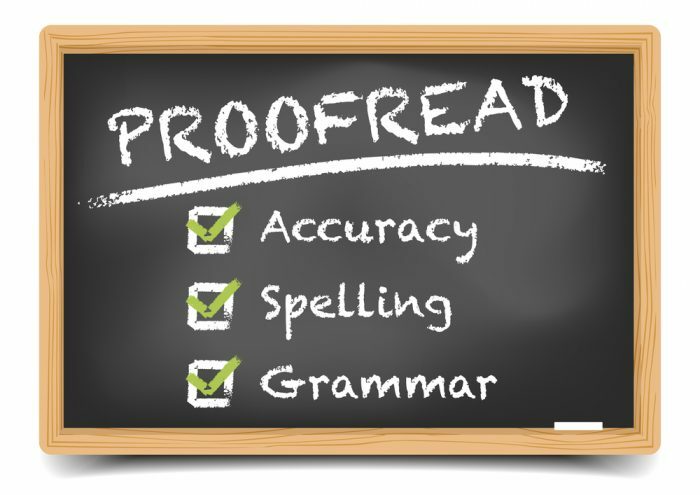 While a professional proofreader can help you avoid many of these pitfalls, the reality is that the expense and the turnaround time on proofreading services can make them out-of-the-reach of the average student, who is working with limited funds and even more limited time. Our essay checker tool steps in and performs many of the same functions as a professional proofreader, providing you with a list of recommended changes and the reasons that it made those recommendations. It is the next-best-thing to having an on-call English tutor. Try it today and find out how much better your writing can be. "Check My Essay (Best Method for Earning an “A”)." Aceyourpaper.com. Student Network Resources Inc, 29 November. 2018. Web. 19 April 2019. Student Network Resources Inc. "Check My Essay (Best Method for Earning an “A”)." Aceyourpaper.com. https://www.aceyourpaper.com/essay-writing/check-my-essay/ (accessed April 19, 2019).